This post is part of my occasional round of updates for what’s happening in my city. So grab a cup of coffee or tea, and let’s catch up about things to do in DC. You might have heard….there’s a new president. He lives and works in DC now. So DC is the obvious choice as a place to hold a lot of marches. And protests. And strikes now, too. They happen a lot. Like, I didn’t even flinch when driving down the street last Friday and half the road was blocked by a march. In one short month it has become the new normal. I reacted mainly out of curiosity – hmm, what topic is this march protesting? Oh, immigration rights, good. In more presidential news, I now live even closer to the Obamas. Maybe I’ll run into Michelle walking Bo and Sunny. Invite her over for brunch or something. And now for some DC-specific politics – who would have thought, politics in DC? Hands Off DC is a growing movement gaining a lot of popularity, since DC has to submit all of its laws to Congress for oversight. Ridiculous, I know. Congress can block and change DC laws as they please. 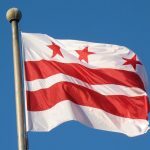 DC Statehood cannot happen soon enough – no more taxation without representation. 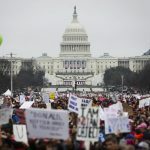 Directly tied to that is the Death with Dignity Act debate which my friend Mikaela Lefrak has been reporting on for WAMU. Okay, moving on from all that seriousness, let’s turn to the lighter side of DC. Please enjoy this farewell video to Bao Bao, the National Zoo’s panda. Or read your very own specialized DC Horoscope. 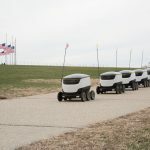 Or contemplate our futures with WALL-E. It’s actually happening. Lastly, Fancy Dinner Club DC is keeping track of places to go on date nights or dinner out with the family. You’re welcome. Some places we’ve hit up so far include The Dabney and All Purpose. If you’re looking for dinner inspiration, check it out! 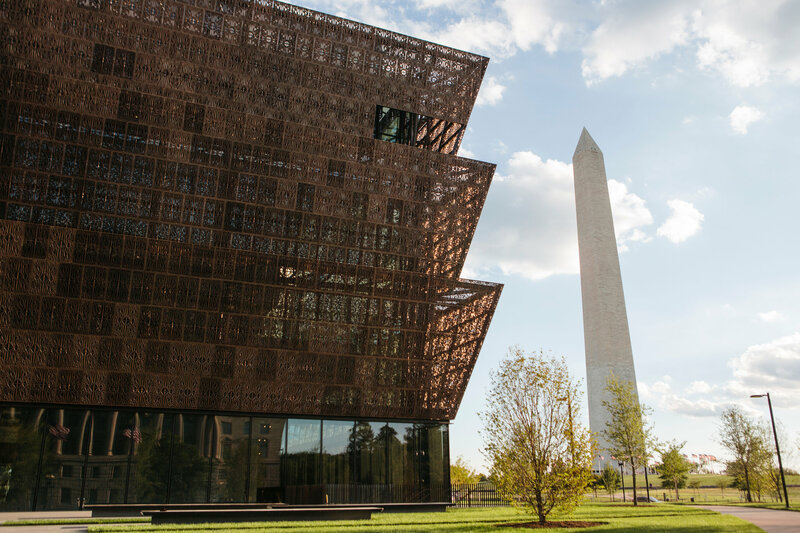 The National Museum of African American History and Culture is the latest Smithsonian museum on the National Mall, which opened in late September. It is extremely difficult to get in, so I haven’t been yet – the earliest tickets we could get were for April. From the people I’ve heard from so far, it is an amazing, immersive experience. All of them have also said that the museum requires at least two visits to fully experience the entire space. I can’t wait to visit. Every other day I feel like something new is opening in Ivy City. See: trending distilleries. The word of the hour is pop-ups. Way back in the day, when I was a kid, a restaurant was a restaurant, a bar was a bar. Now there are sandwiches every other Wednesday, bagels only before lunch, winter in the French Alps, and a bar within a bar. Nothing is as it seems. How is one supposed to keep track of this? All for a short time only. I mean, c’mon. Actually wait, I need to go to this one asap. Bad Saint. Oh boy oh boy is this one popular. With only 24 seats, people wait in line for hours and are not guaranteed a spot. My Fancy Dinner Club co-founder shares his experience here. Still trending, unfortunately: high restaurant prices. And now it’s affecting cocktail pricing too. Happy hours are starting to quote $7 for a glass of wine as a “deal.” Cocktails are regularly anywhere from $12-$18. My wallet has thrown in the towel. Given up. Recently I heard about the new Service Bar, which at $7 cocktails is the cheapest end of the spectrum. Have you been? Is your wallet living a happy life? The DC area is seeing an explosion of distilleries and breweries, I can’t keep up! 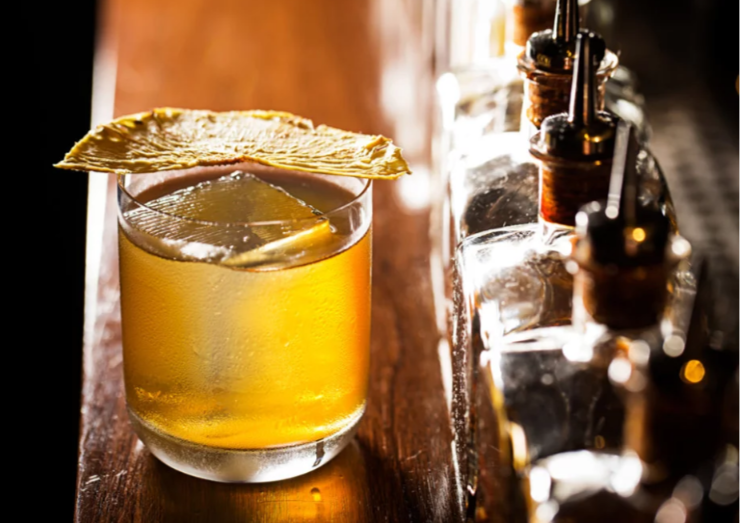 To mention a few, there is 3 Stars, District Distilling Co., Bluejacket, Right Proper, Atlas Brew Works, One Eight Distilling, Capitol City, and Denizens Brewery. Phew. I’m also looking forward to Potomac Distilling, a rum distillery and tiki bar coming to the Wharf this fall. So much alcohol to drink, so little time! A lot of attention is being focused on Asian restaurants around the District right now, which I wholeheartedly support. Bad Saint is just the tip of the iceberg. Himitsu, Sushiko, Kyrisian, Donburi (which I could eat every. day.) are all elevating Asian cuisine around the city. Ramen is still very popular as well. A new spin is Laotian food, which I have yet to try. Gotta eat ’em all. Also totally trending? DC itself. This city was named the restaurant city of the year by Bon Appetit in 2016. So totally awesome, dude. 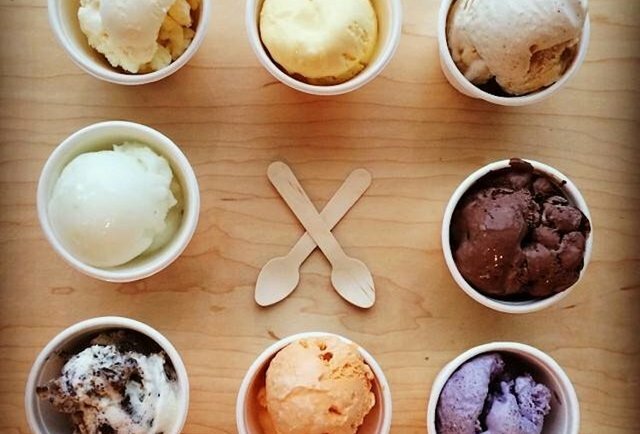 The simple joys of wonderful ice cream. Ice Cream Jubilee on T Street NW is a welcome addition to the neighborhood. With flavors like MarionBerry and Strawberry White Chocolate, you know this will be a place I will be back to again and again. I think it even may be worthy of taking my visiting Wisconsin relatives there, and they know real ice cream. One of my new favorites in DC is Bindaas. The restaurant serves (amazing, drool-worthy) Indian street food in Cleveland Park. We actually ordered an entire kabob just to take home with us for later, because we didn’t want to stop eating the food. Every dish I ordered there was full of new flavors. Call me infatuated. I finally went ice skating at the Sculpture Garden on the National Mall over New Years, and can confirm that it’s delightful. It only took me six years to finally try it. It’s a good date night or double date night activity, and you might find out things about your significant other that you never knew. Like the fact that they can skate wayyy better than you. 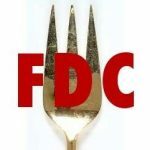 Federalist Pig is offering delicious BBQ in the Adams Morgan area. The outside looks like an abandoned building, but trust me, it’s safe to go in. Even if just to see the pig mural and knife chandeliers. The sandwich I tried had pulled pork, melted cheese, crispy onions, and BBQ sauce. It was heaven. My friends also gave high reviews for the straight up meat, with a side of mac ‘n cheese and slaw. I recommend waiting until the place gets its alcohol license (which is soon) so that you can wash down the BBQ with a cider or beer. Gluttony in its finest. I hope to snag tickets for this strange but interesting exhibit coming to the Hirshorn museum. 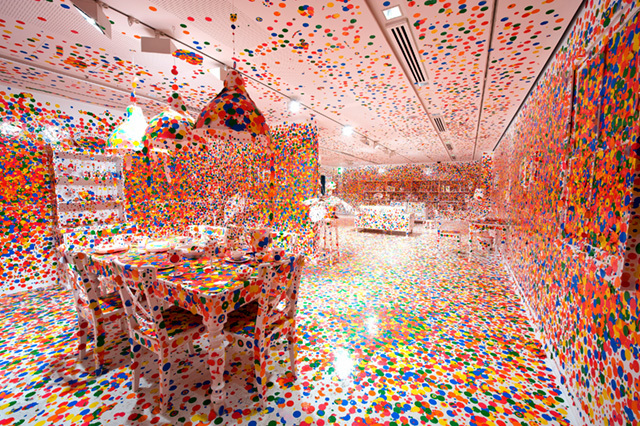 The exhibit, Yayoi Kusama: Infinity Mirrors, is only here through May. I have a secret love for Cubano sandwiches, so I am very excited to try the new Cuban cafe Colada Shop that opened in late January. Croquetas, empanadas, tres leches, oh my. Trapeze, anyone? This is on my list of goals for 2017. Fair warning, if I’m good at it I might just go and join the circus, and give up food blogging. Lastly, I hope to explore more off the beaten track museums. DC is a wealth of museums, maybe they could teach me a thing or two. Fellow DC-ers, what are the places I should try next? Please share your suggestions!